SAAAAALE!!! Teachers Pay Teachers is Having a Cyber Monday sale site-wide. While I have never braved the crowds on Black Friday, I love to surf for deals from the comfort of my couch and Cyber Monday is the perfect way to do so. 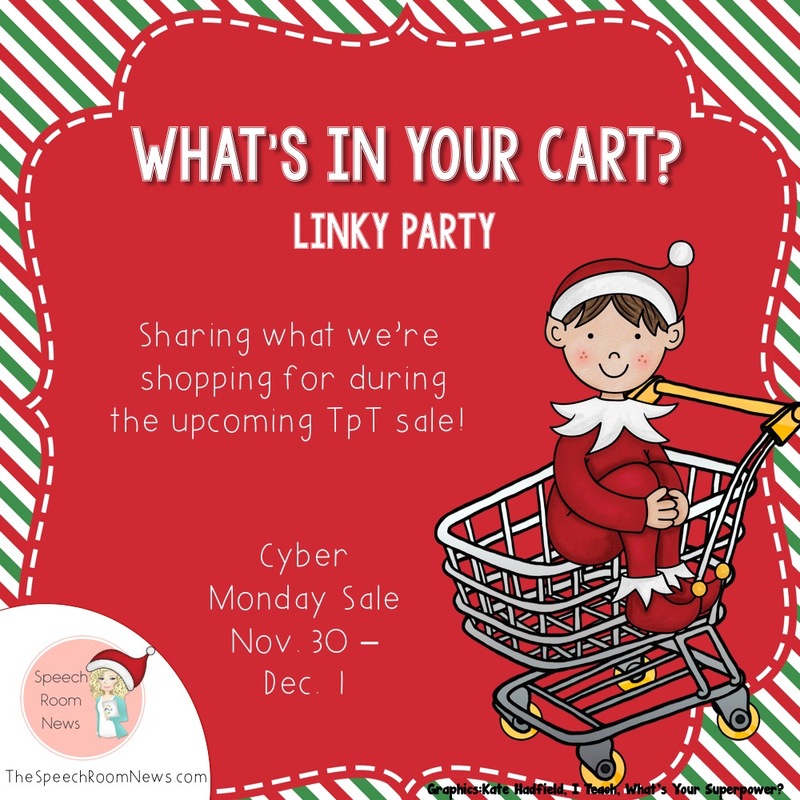 Jenna over at Speech Room News is hosting her What's in Your Cart Linky Party and I wanted to join in the fun. Many Stores, including mine - Speech Is Heart - will be 20% off. Don't forget to include the code SMILE during checkout for an additional 8% off! To start you off, here's what you need from my store to get you through to winter break. 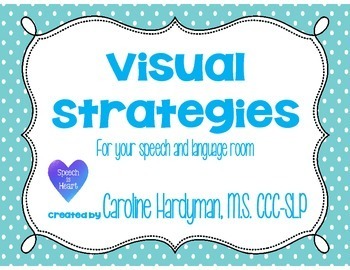 These visual strategies posters are perfect for decorating your speech/language room while at the same time reminding students of their strategies. Current version includes strategies for playing board games, greeting others, following directions, active listening, and more. My Would You Rather for articulation R practice has been updated to be more readable, more colorful and to include better questions. Check out the whole bundle on Monday for a fun carryover activity for your students. 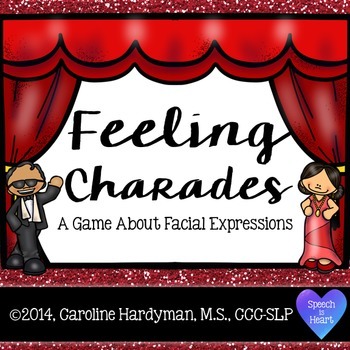 Finally, make sure to grab my Feeling Charades game for your next social skills group. This fun game is a great way to practice reading facial expressions and body language. Now for some shopping. Here's what's sitting in my cart for the Cyber Monday Sale. 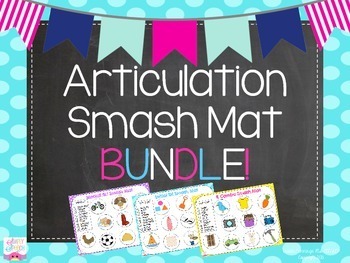 Articulation Smash Mats by Simply Speech. 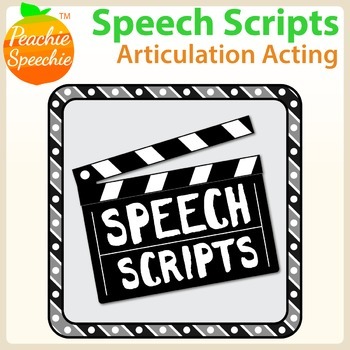 Speech Scripts from The Peachie Speechie. 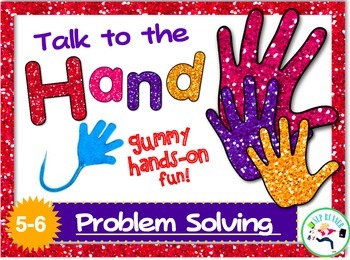 Talk to the Hand for problem solving by SLP Runner. Time to get shopping. 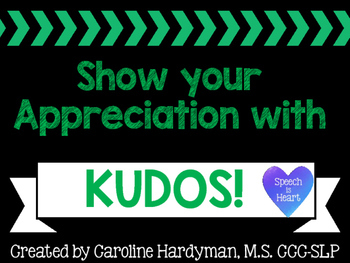 While you're at it, download my latest FREEBIE and let your fellow SLPs and co-workers know how much you appreciate them around these stressful amazing holiday times by giving them a Kudos note to celebrate their amazing-ness! Thanks for stopping over at my blog! 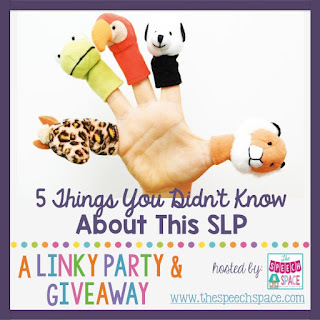 Jessica over at The Speech Space is hosting a fun linky party and giveaway. This is a fun post for me because I love letting people know more about myself and learning about other bloggers. 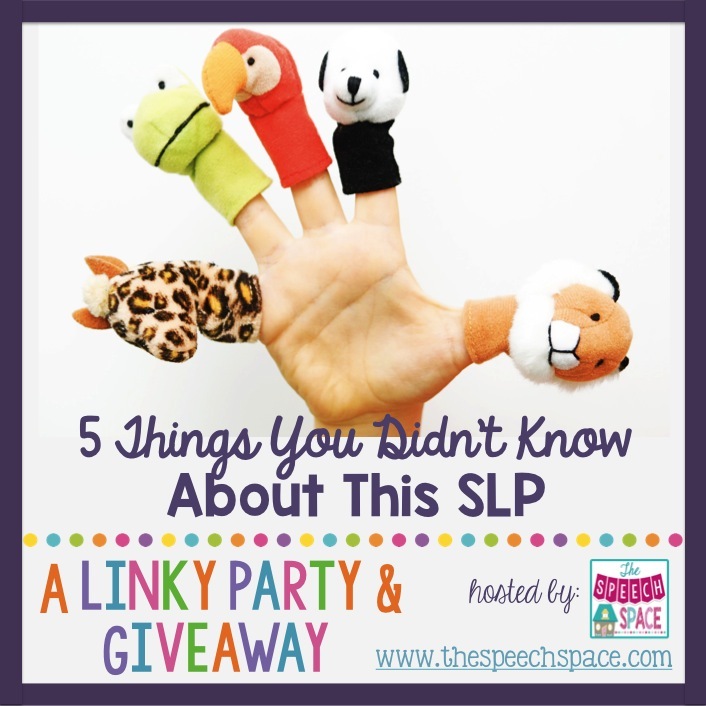 Here are 5 things you probably didn't know about this SLP. 1) I love to sing. Whether it's in the shower, the car, or in church choir, music is a major part of my life. In college, I was part of our top concert choir and was also in an A'Capella group before Pitch Perfect made it cool. 2) I snore. I feel bad for my husband. My dentist said that I have large adenoids and that the anatomy of my jaw likely contributes to this. I'm having a sleep study done soon since I have a family history of apnea. 3) I am pretty good at playing the flute. Everyone expected me to become a music major. During my summers in high school I participated in a competitive marching band. We traveled across the country competing in parades. I still like to play my flute at church but somedays I miss just playing it for fun. 4) My cat, Odin, is like a puma. I love my cat! He is 15 pounds of solid muscle and can leap across rooms or jump on tope of our kitchen cabinets with ease and grace. There you have it! 5 things you probably didn't know about me. 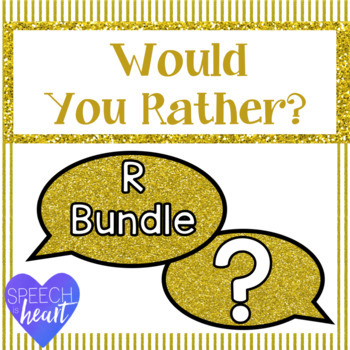 For extra fun, you can enter the contest below to win a copy of my "Would You Rather" for articulation R bundle. This is one of my earliest products and will be updated on TPT within the next 48 hours. You can take a sneak peak here. Blogs, instagram and facebook are littered with posts about the ASHA 2015 convention. I am blessed to be able to say that with the help of one of my favorite people in the world I am hopping on a plane early Thursday morning and flapping my wings all the way to Denver (little girl squeal)! Odin says, "Please don't go mama!" 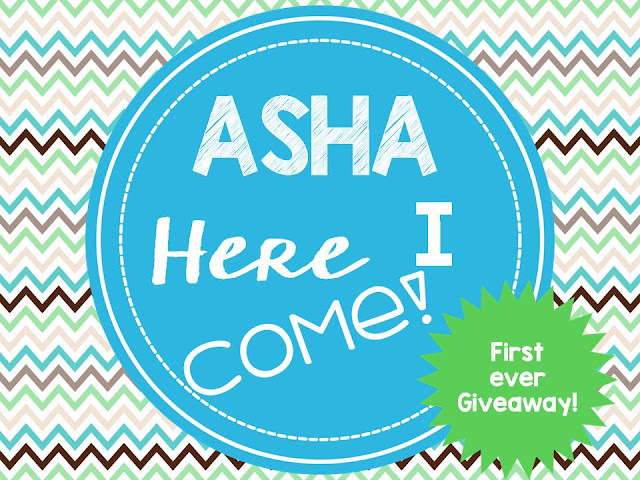 When I first realized that going to the ASHA convention was a possibility, my stomach grew butterflies. In grad school, I had the opportunity to present a research poster at ASHA in San Diego. I learned so much in that short time period that helped drive my career to where it is today. The suitcase came out of the closet a week ago and ever since I've been putting outfits in and pulling them out. My grad school roommate is coming with me and I can't wait to hang out with her and "nerd out" all weekend. 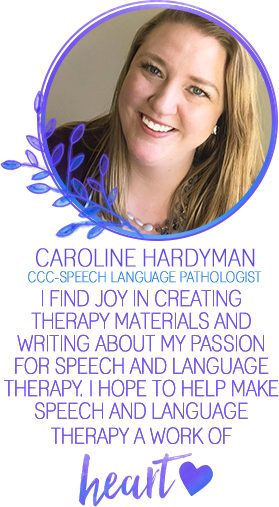 This August, during teacher workshop, I was talking with one of the special education teachers about how excited I was to go to this convention. She began laughing and said, "You're such a nerd! I'm so glad you are doing this, but I would never do that with my personal days." Maybe I am a nerd, but I am thrilled to be able to meet so many more speech nerds in a couple short days. My program planner is already very beat up, but after circling sessions and reviewing them on a nightly basis I have entered my favorites into the program planner app. It's really neat and I highly recommend using it. My favorite feature, which I'm sure will make my life so much easier this time around is that when you select a session, it will show you on the convention center map where it takes place! This nerd is impressed. To celebrate this migration of SLPs and Audiologists, I am trying my first ever TPT give away! While I am not one of the popular bloggers at a booth, I just have to share in my joy for this fun weekend. I will choose 3 lucky winners to have their pick of one of my TPT products emailed to them for FREE! On top of that, my entire store will be 20% off for the duration of the convention (Thursday-Saturday). To enter the give away, leave a comment on my blog or instagram with the product you would most like to win. I will pick 3 winners next Monday to receive an email with one product of their choice from my TPT store. IN ADDITION to this, if you happen to see me at the ASHA convention and you are interested in proof reading/reviewing my products prior to me posing them on TPT, just ask for my business card and email me. I get your opinion and you get a copy of my product for free. Not sure what I look like? Check out my TPT store profile picture. I hope to meet some of you in Denver!